Whether it's traffic cones, take-away leaflets or entry to bars before 11pm, when it comes to students, free = glee. Microsoft is looking to capitalise on this by giving students the chance to snag access to its Office 365 productivity suite for the princely sum of nothing. Microsoft has offered Office 365 to student for free since October last year as part of its Student Advantage programme, but they can now apply directly for the first time, the company wrote in a post on the company's Office blog. Previously, the school, college or university's IT department had to apply on their behalf. Qualifying students get the latest versions of Microsoft Word, Excel, PowerPoint, OneNote, Outlook, Access and Publisher, which can be installed on up to five PCs or Macs, along with 1TB of OneDrive cloud storage. Applicants aged 13 and over can apply by visiting Microsoft's Office 365 for Students site, where they will need to supply a valid school-provided email address. The promotion is limited to the US at present ahead of a global rollout later this year, and applicants must attend a school that has purchased Office for all faculty and staff using the Microsoft Volume Licensing programme. 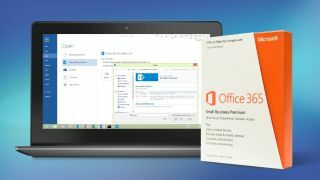 Microsoft has also announced that it is giving students and teachers in US schools that purchase Office for all their faculty and staff members access to Office 365 ProPlus for free. The decision was made so that staff members are using the latest and same version of Office as students, Microsoft wrote in the post. The cloud conundrum: who actually owns your data?